An artist cannot live in a box, they must get out and be in the world meaning be "seen" in the world. Though for some of us it's not so easy, my happy place is alone in the studio creating. There are few other times that I am totally in the moment and often in the "zone" and I absolutely love this part of my life. But the "be seen" part is a stretch for me so I'm trying to get out there more by being in galleries and doing pop up shows here and there. But I know I need to step it up! So a few weeks ago I went to NYC to visit a bunch of design shows as I'm thinking of doing one. Doing a show would not only (hopefully) help my business but force me out of my comfort zone which I think would be a good thing... as I'm biting my nails. First and foremost is preparing for a specific design show and getting accepted. So I'm setting goals for myself as I have about a year of preparation if I do get accepted. I know that year will go fast and I'm looking forward to these new challenges. Right now I'm thinking about what I need to focus on and what designs I want and should have in my collection in order to have a balanced portfolio to show. 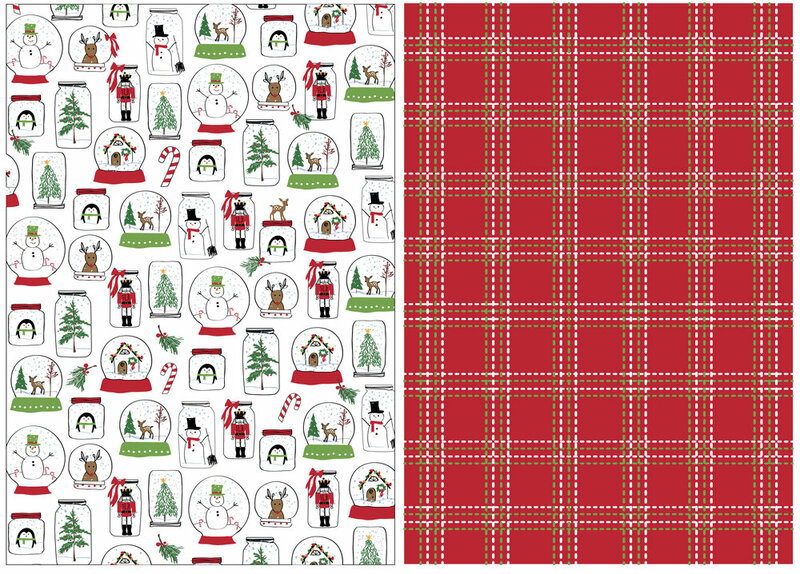 When I worked at tag I always dreaded designing for the holiday season because it is so limiting with color and icons. Working in the business for over two decades and coming up with new fun Christmas icons every single year is challenging. Needless to say, since freelancing I design and paint what I more or less like so doing Christmas icons was not high on my list! Therefore I need to think about including this type of work in my new collection. Snow Globe dish towel set, printed icons with a woven. I will keep you posted as I progress and learn from this new venture. Meanwhile the garden needs weeding so till next time- peace and happy holidays ho ho ho.